December 10, 1935 ~ February 7, 2019. Clark H. Eckersley, 83, passed away on February 7, 2019. He was born on December 10, 1935 in Ogden, Utah, the son of Jack and Bertha Kraaima Eckersley. He was a lifelong resident of Ogden, graduated from Ogden High School, attended Weber State College, and Utah State University. Clark served in the US Army during the Korean War. Clark was a member of The Church of Jesus Christ of Latter-day Saints. He was an avid golfer and enjoyed his El Monte golf buddies. He was a lifetime skier and had a beautiful style. He taught so many to enjoy the sport. He and Carrie enjoyed traveling with their friends. After retirement he served at Hill Air Force Base Hubbard Golf Course in the pro-shop and in the ski school at Nordic Valley and Wolf Mountain. Clark looked forward to having breakfast on the weekends with his partner, Steve. His constant companion was his St. Bernard, Jaeger. 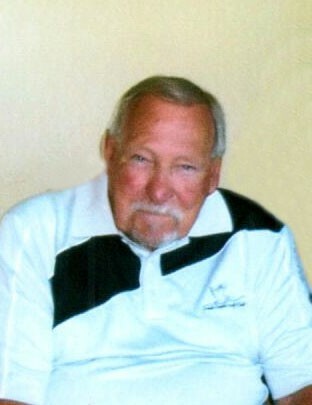 Clark is survived by his children, Lisa Carrie (Wallace Scott) Stegen of Ogden and Bradley Clark Eckersley of Salt Lake City; grandchildren, Sheila L. (Brett) Baur, Eric D. (Mariesa) Eckersley, Shaylee (Jason) Hyde, and Devin Clark Eckersley; eight great-grandchildren in Utah and Japan; sisters-in-law, Marilyn (Steve Brown) Cooper of Layton and Diana (Jim) Grasse of Syracuse. He was preceded in death by his beloved wife, Carrie, daughter, Shellie K. Perkes, brother, Jack K. Eckersley, and brother-in-law, Greg Holmes. The family thanks Comfort Worx Hospice for their kind and professional care. Graveside services will be held on Tuesday, February 12, 2019 at 2 p.m. at Lindquist’s Memorial Gardens of the Wasatch, 1718 Combe Rd. Services entrusted to Lindquist’s Ogden Mortuary.